A brand new building opened at Hollywood Studios today. 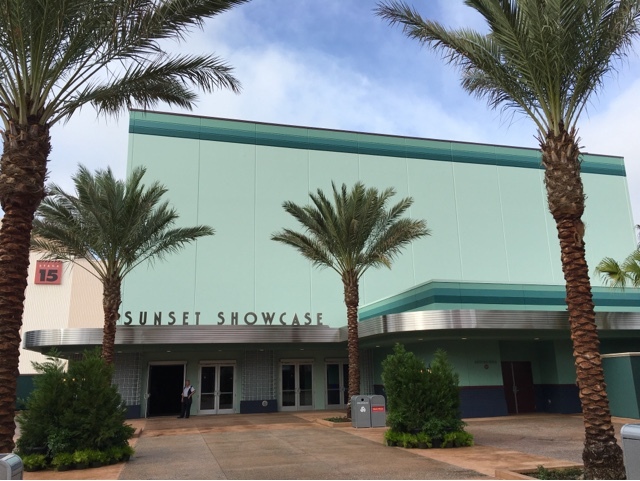 It is located behind Rock 'n' Roller Coaster, and it's called the Sunset Showcase building. It houses Club Disney, which is a character dance party. It is a place where guests can enjoy dancing with Mickey and friends throughout the day.